Aamer Anwar, the newly installed University Rector, recently addressed staff and students at the PGR Experience Event in June. The aim of this event was to stimulate discussion and develop strategies to help improve life for UofG PGRs, and Anwar’s address outlined what he considered to be the most pressing issues they face. This post intends to recount Anwar’s presentation, but it is not an endorsement of his comments. However, it is important that the PGR population have a chance to hear what he said and decide whether his views are representative of their experience. As your Rector, he is fighting for what he believes to be the main issues facing PGRs. Is he right? Let us know in the comments. The Rector must have a true understanding of researcher life at Glasgow so this is your chance to hear what he has to say. 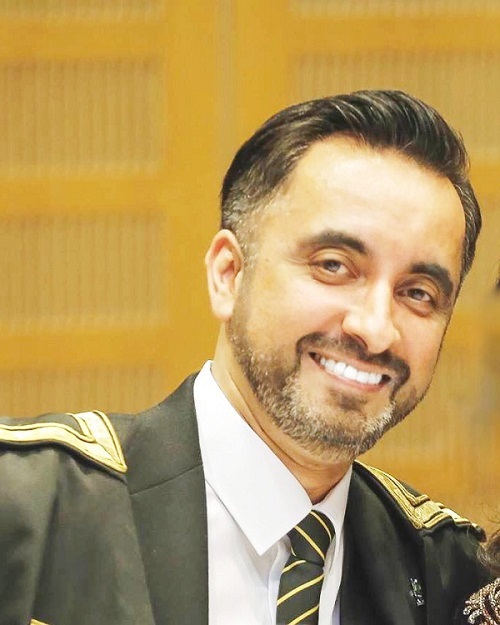 Aamer Anwar used the recent PGR Experience event (on 22nd June) to pledge his commitment to improving the lives of PGRs at University of Glasgow and maintained his dedication to fulfilling a visible and meaningful Rectorship. In his address to researchers, academic staff, and professional services staff from Glasgow, he outlined what he believed to be the most pressing issues facing PGRs based on various discussions he’d had with students since taking up post. As a formidable and extremely well-respected criminal defence lawyer and human rights campaigner, Anwar is not afraid to stand up for causes he believes in (see hisastounding recent commentary on the Grenfell Disaster) and this fervour did not appear to be lost in the uptake of this role. Whilst outlining the areas he wishes to focus on, Aamer did not appear to be afraid to tell senior figures at the University what he thinks need to change. In his whirlwind first few weeks as Rector, Anwar wasted no time in speaking to students to find out more about their experiences, including those felt by PGRs. “Postgraduate researchers are often under tremendous pressure to deliver results and feel as though they can’t take holidays or partake in University clubs and societies that are an integral part of the student experience.” Anwar further commented that he felt the University (and the Higher Education sector as a whole) needed to pay more attention to the financial situations postgraduates sometimes grapple with. Anwar’s warning was derived from what he perceives to be an injustice in Glasgow’s decision to invest in a £1 billion in campus redevelopment when certain student provisions are stretched, including mental health assistance. Anwar believed many students’ are worried about the marketisation of higher education and that achieving a high ranking on a league table takes precedence for the University over student satisfaction. The Rector stated that he felt such priorities could hamper the quality of life at Glasgow and would be “the kiss of death” for the University. Upon reflecting on his own experience as a student at Glasgow, Anwar praised the fact that the University broke down cultural barriers for him and allowed him to integrate with students from hugely diverse backgrounds. He voiced fears, however, that this wonderful cultural mixing pot enjoyed at University could be threatened by an accommodation culture that housing international students from the same background together in residences and prevents integration. Anwar stated that he felt more should be done to promote social integration at the University. Anwar concluded by acknowledging the huge changes he foresees to the Higher Education sector as a result of Brexit. This submission was accompanied by a warning that Universities’ needs are “bottom of the pile” for the Government when going through this monumental transition. He felt that Glasgow needed to accept that these changes will transform the institution as we know it, and that senior figures needed to ensure Glasgow was financially protected by changes coming our way in addition to fully respecting students’ needs. Once again we want to state that the above is a recount of Anwar’s address at the PGR Experience Event and has not been fact checked nor is it an endorsement of what was said. We are offering his address to the PGR community it was intended for as a discussion point: these are the issues Anwar is fighting for on your behalf; is he right? Aamer Anwar is a powerful speaker and is assuredly able to capture the attention of his audience and he did just that at the event. He highlighted issues faced by researchers that are currently being addressed by various channels of the University (mental well-being, student experience and a maintaining work-life balance) but, that being said, he painted an extreme depiction of researcher life. His commitment to fighting for student rights is obvious and admirable, and so, it’s important that the PGR community has a say on whether or not they agree with the issues he is taking forward. If you disagree: what are the issues facing PGRs that Anwar should be raising? We want to hear that too. Add your comment or you can email me or tweet Aamer your thoughts.